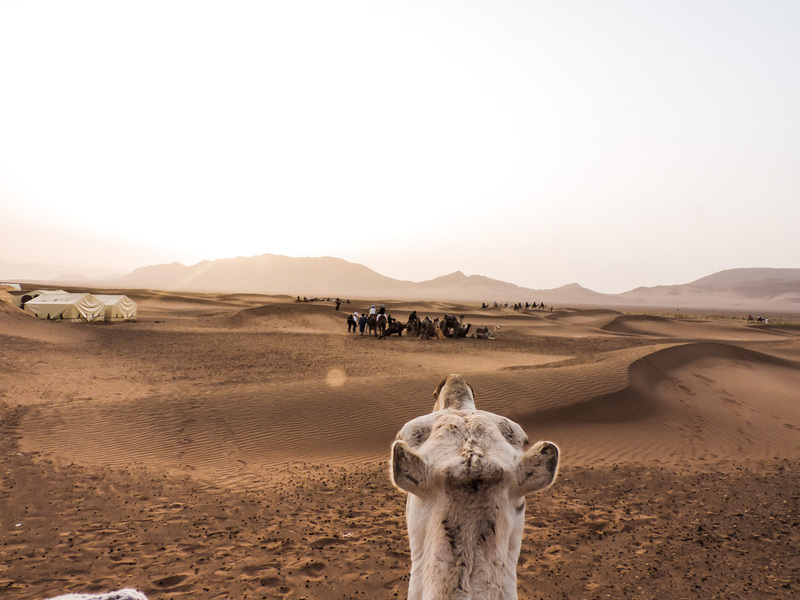 if you follow us on Instagram you saw that we have been in Morocco last September. For me and Michal was one of the best holidays we had. It was our first trip to Africa. 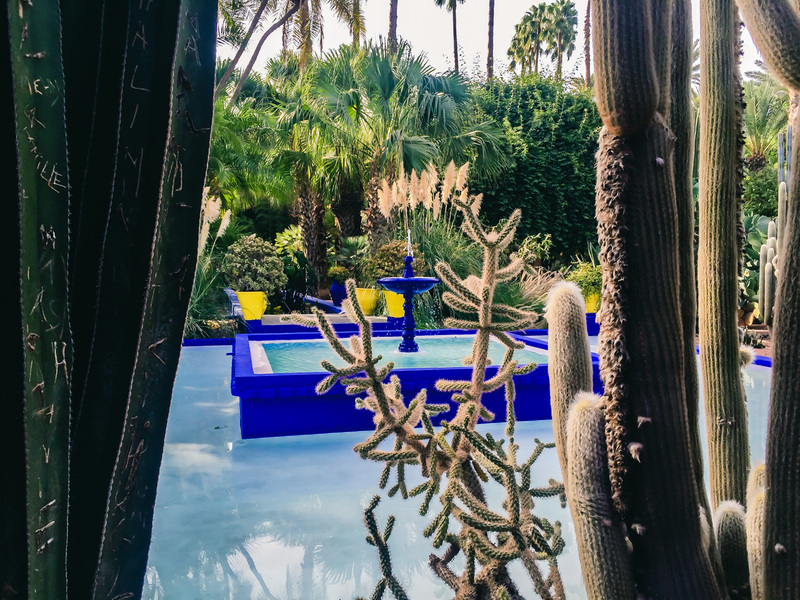 Morocco has to offer the amazing weather, great food, tasty tea, beautiful gardens and museums. But the most important is to learn and connect with different culture. 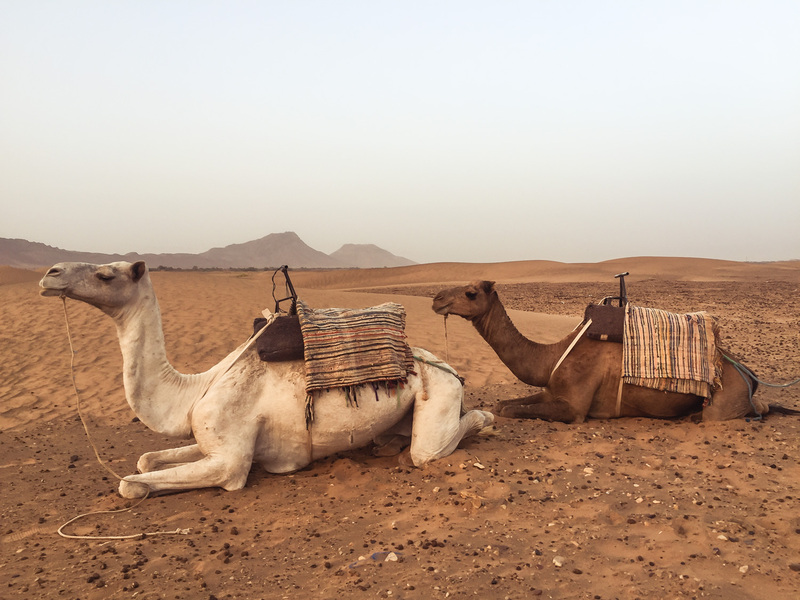 We love to explore so we knew that we wouldn’t have the hotel holiday only… don’t get me wrong, it’s lovely to go for all inclusive holiday and sunbathe all days. But our aim was to live an adventure, after 2 nights in Marrakech we booked a 2 days excursion to Zagora and Sahara desert, that include a van which picked us up from the hotel and 8 hours drive to the desert ( believe us driving for that long is not fun, especially if you get car sick easily..). 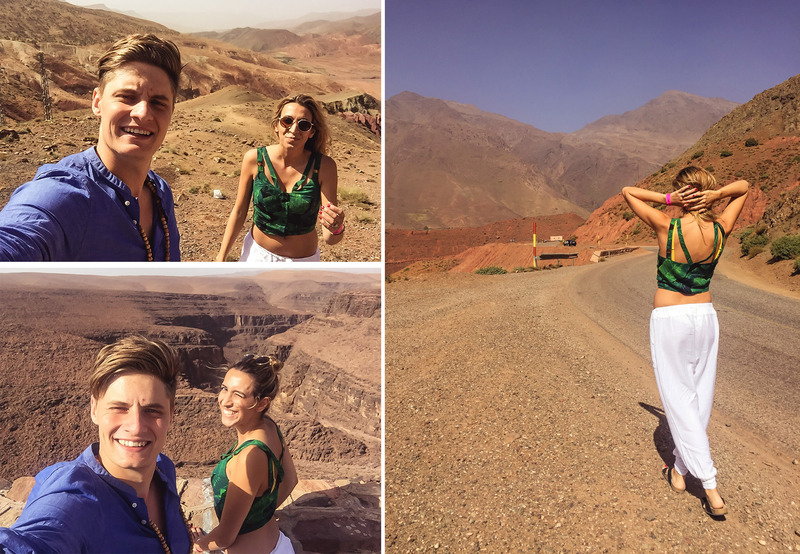 We made several stops and views where amazing… but we never expect that Atlas Mountains were that long. 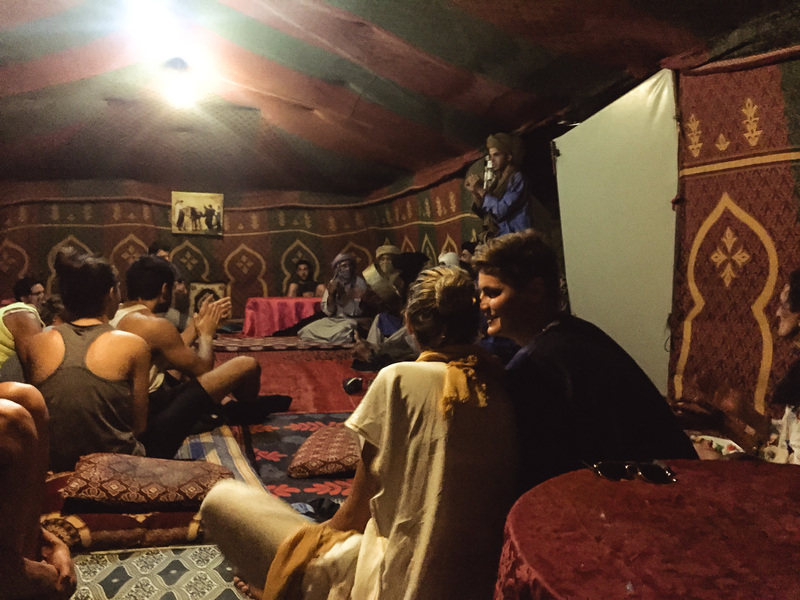 On this trip we have realized how difficult the living of many Moroccan people is,you start to give more value to what you’ve got. We have learnt that sometimes we forget, how comfortable living in Europe is. 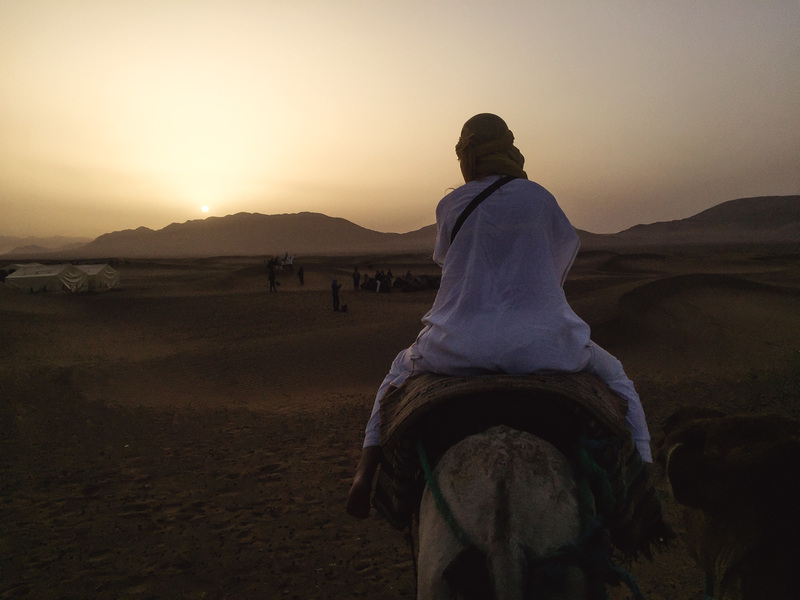 We rode on camels in the sunset for over 1 hour, it was so exciting being in the middle of nowhere. Just before arriving to our campsite, we were blown by sandstorm. We were lucky that we had sunglasses our scarf around faces. If you are worried about hygiene, that might be a bit of push for you. I am a Nurse and I struggled a bit with not having at least ‘ok’ toilet. I tried not to think how food was prepared. Luckily the evening turned out to be super exciting, our local guides sung for us traditional songs. 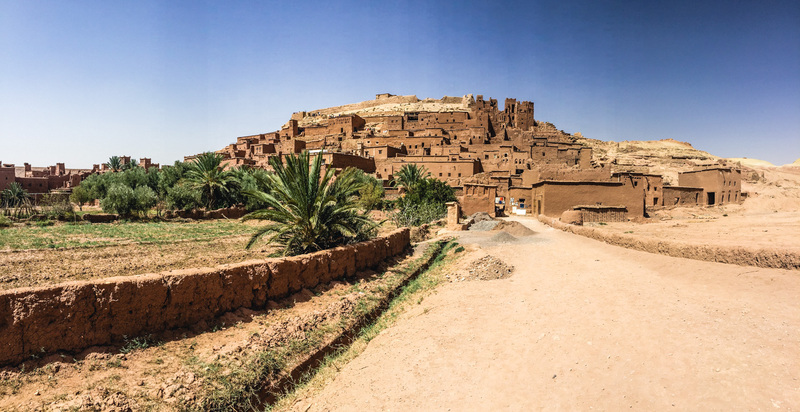 On the way back to Marrakech we stopped in this beautiful place – Quarzazate- Aït Benhaddou. In that place there were 16 famous movies recorded such us Game of Thrones, Prince of Persia, Gladiator, the Bible, Indiana Jones and Queen of the desert. This beautiful features on the list of UNESCO World heritage sites. There are still people living there and they constantly work on restoring and maintaining that place. 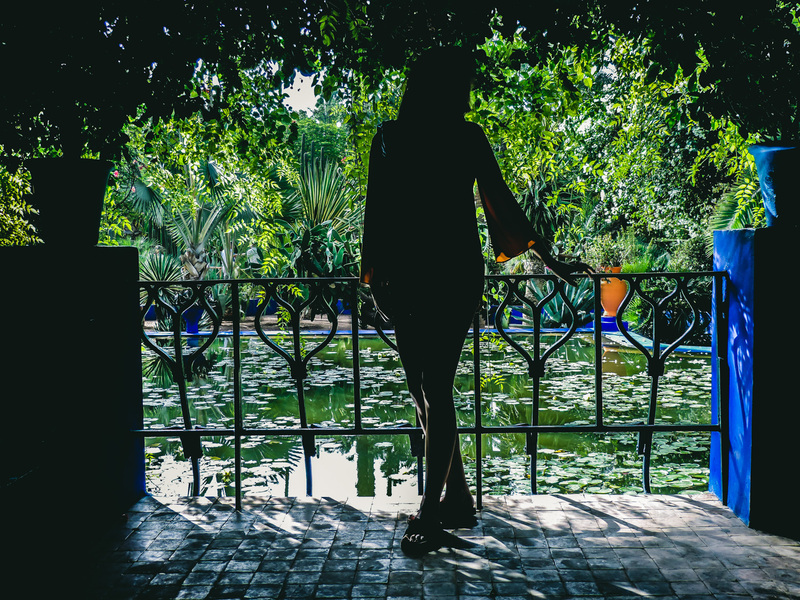 The Medina is definitely place which you will visit if you are in Marrakech. It is a market in the middle of the city where you will not only get an opportunity to buy loads of leather products seasonings and jewellery but also see incredible performances with snakes,monkeys or pigeons. There are many people offering tasty juices and henna tattoos. Remember, to haggle the price. This is the tradition there and not doing that takes the entertainment of buying away for you and sellers. I have got a henna tattoo on my hand which I loved, and Michal bought a cool bead necklace. TIP:If you want to have nice henna, do it during a day, when they let you choose what you want. Night before, there was a lady who caught my hand and started making quick and ugly tattoo. I couldn’t do anything and I had to pay for it, so be careful at night!). I did wear scarf to cover my shoulders when I was in Medina. In that place women wear burka what makes you stand out even if you are in shorts and t-shirt. The standard of many hotels and restaurants is lower than in Europe. But believe me, we got used to it very quickly. 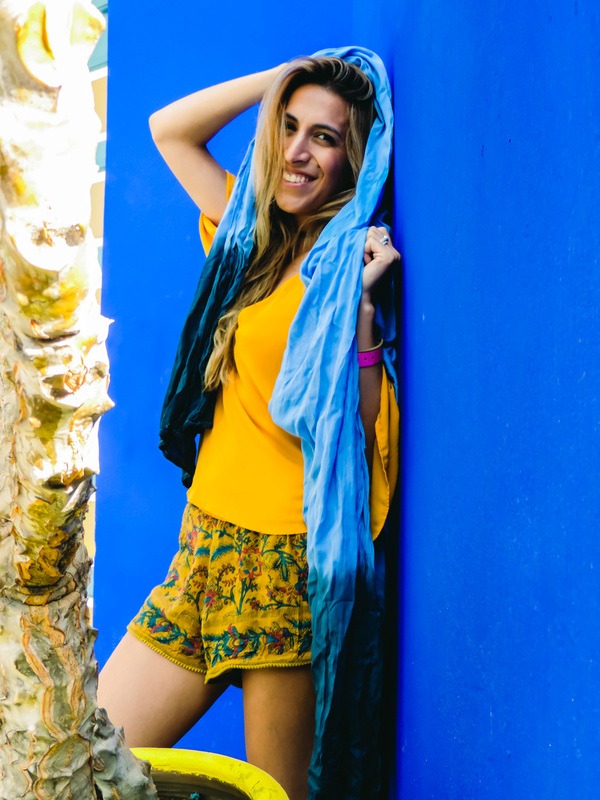 Than you start experiencing everything like locals, that makes it amazing! 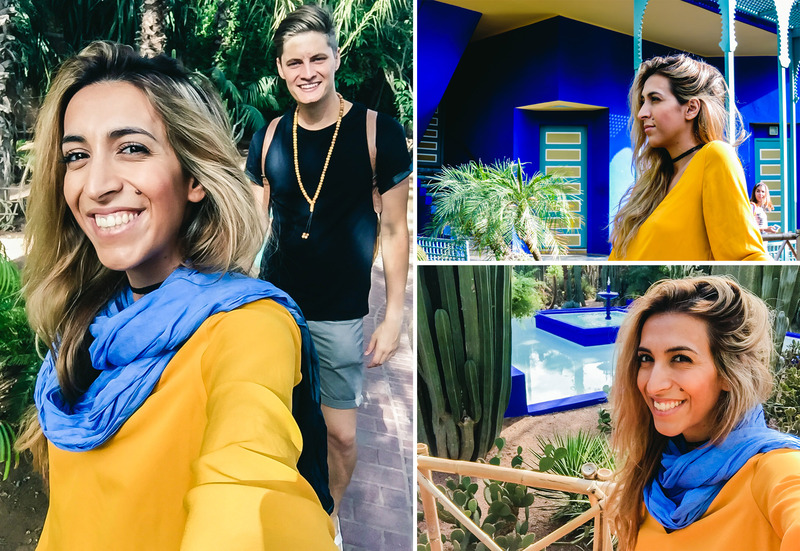 The Jardin Majorelle botanical gardens is a must-go. It used to be a house of Yves Saint Laurent. Beautiful architecture, tropical atmosphere and stunning flora. Great place for taking good photos. 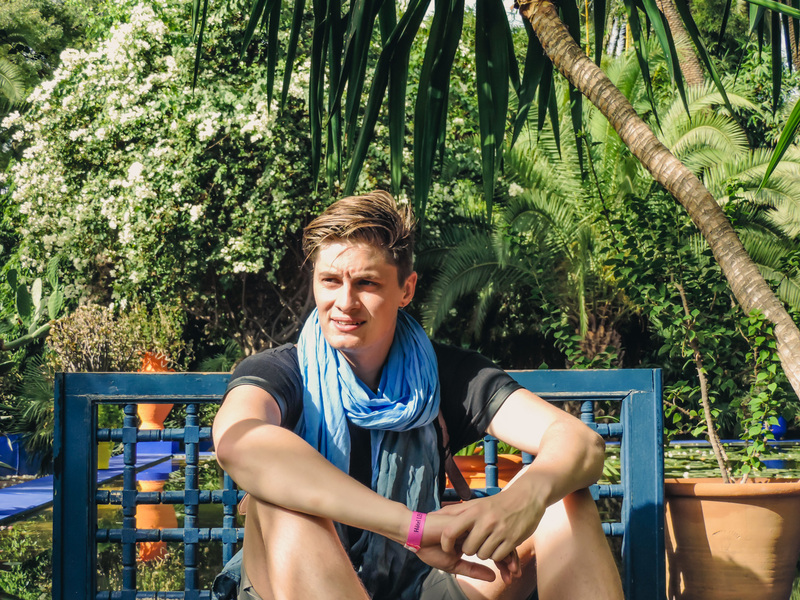 Me and Michal, we spent all morning walking around and relaxing in this garden. We visited the museum inside, which was again in very high standard. Something really impressive in Africa are cactuses, they are huge in different colors and patterns. At one of the nights we went out to see what Marrakech can offer. We ended up in elegant shisha bar where we watched impressive performance of belly dancers. We wouldn’t find this place if we didn’t go out together with friends from our hotel. 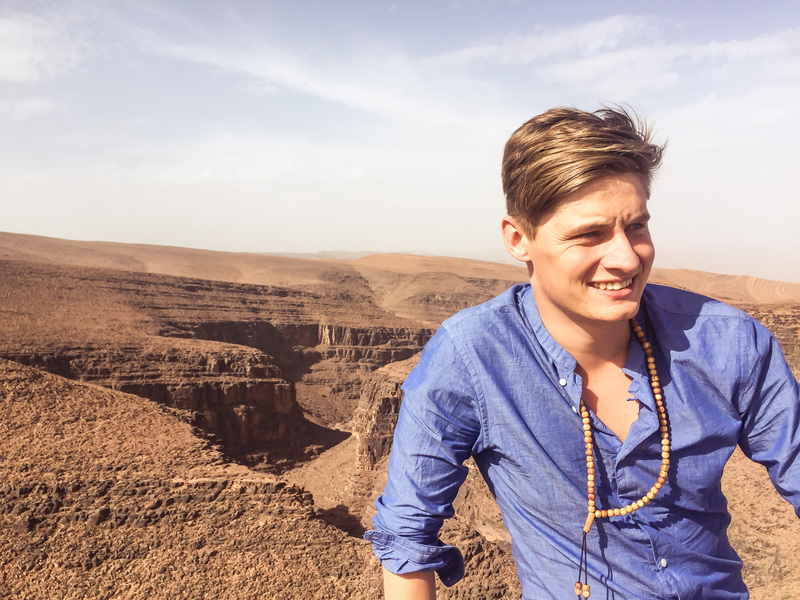 This trip not only let us meet new culture but also thought about differences between north Africa and Europe. We had a pleasure to meet many cool couples from Holland, UK, Spain and Australia who shares same aim and views to us. We are still in touch with some of them. We really enjoyed this trip and we hope you will choose this place for your holiday if you hadn’t been there already. We are now packing for our trip to Iceland this week. Is there anything, what would you like us write about in our next post. 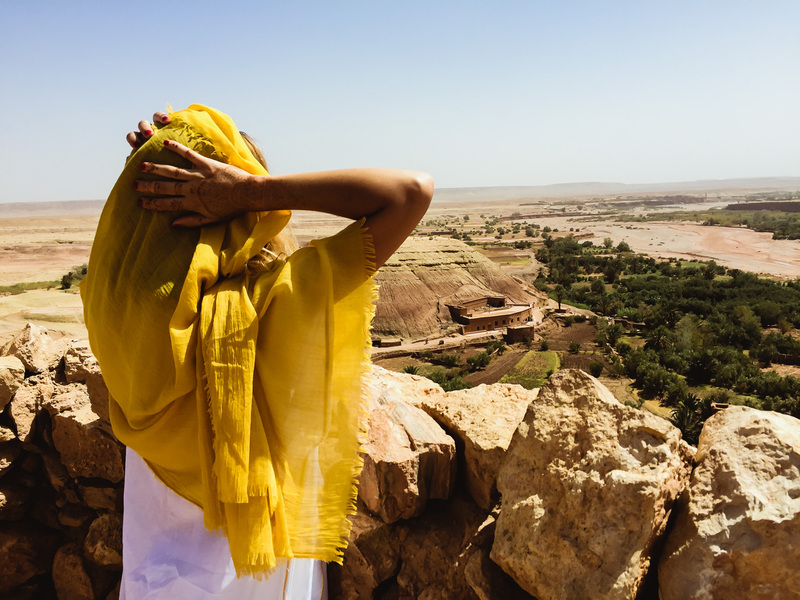 Morocco is a wonderful country to visit. It’s different than anywhere else in the world! 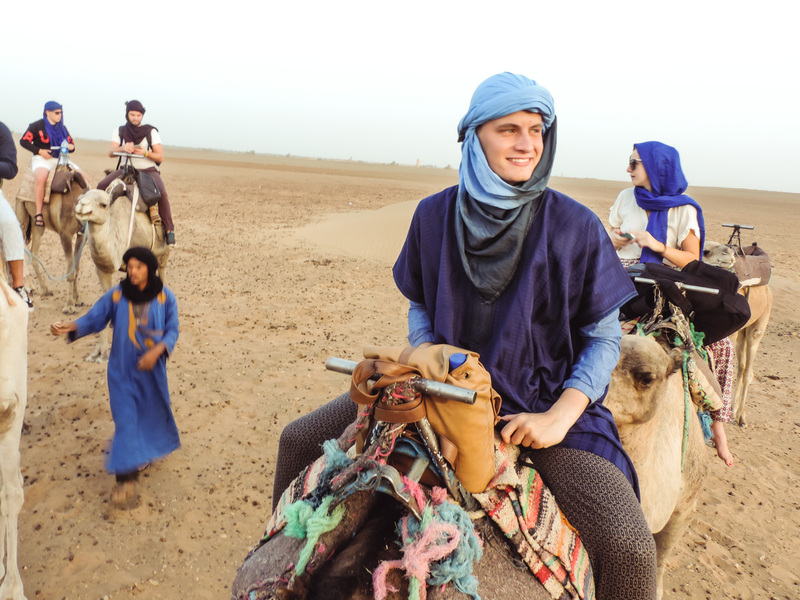 Hi Guys, Thanks for reading my Morocco post. I just read yours and really enjoyed it. 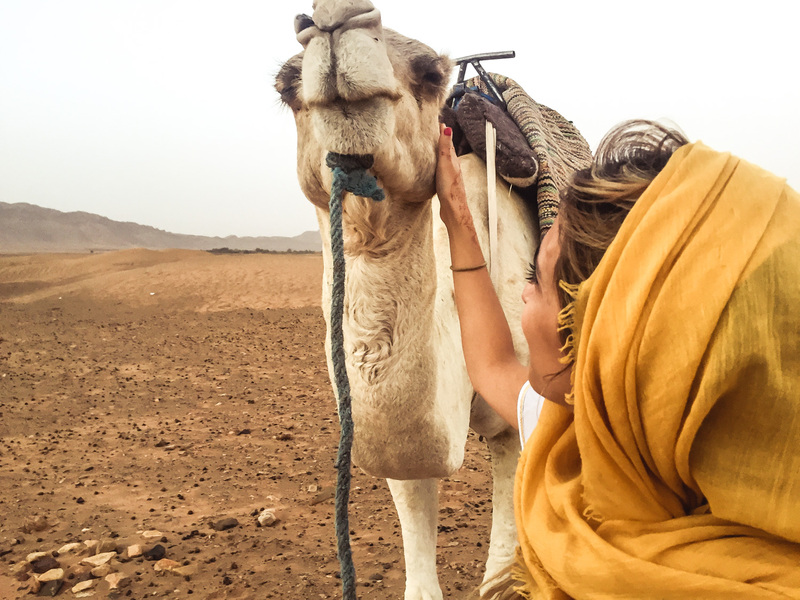 I also loved my experience staying in the tent hotel in the Sahara. The dining room looks similar to the one that I experienced!! Also your photos of Yves St. Laurent’s home were great. I sooo loved my time there. I noticed you went to Iceland. The weather there was veryLol challenging but I really enjoyed the experience. You should try Bali and Trans Gilli Island. I think that you would really like it. Best! and Happy Travelling!!! Thanks for comment! We are just on the way back from Iceland. We were very lucky with weather and managed to see everything what we had planned. We can’t wait to write another post about it. Did you check out my Iceland post??? Let me know when you post yours. 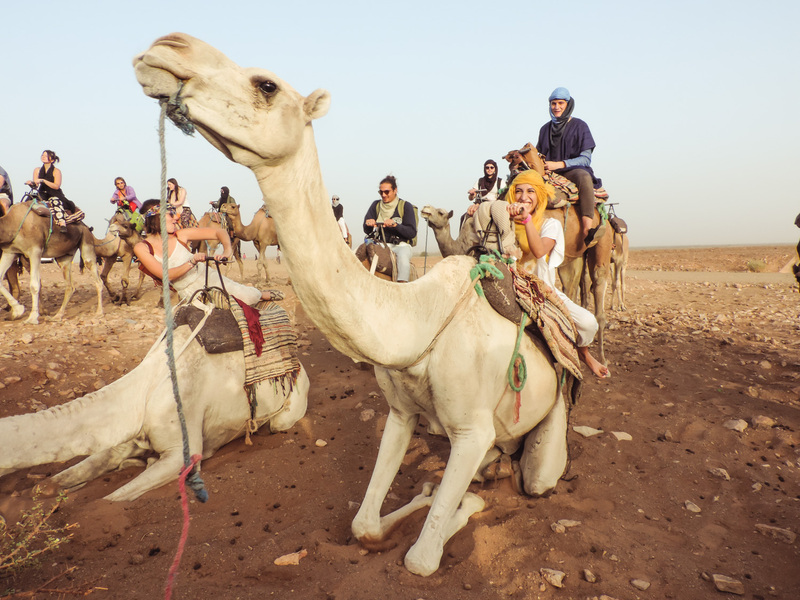 Thank you for sharing your Morocco experience with us. No problem. It was great experience! Wonderful! 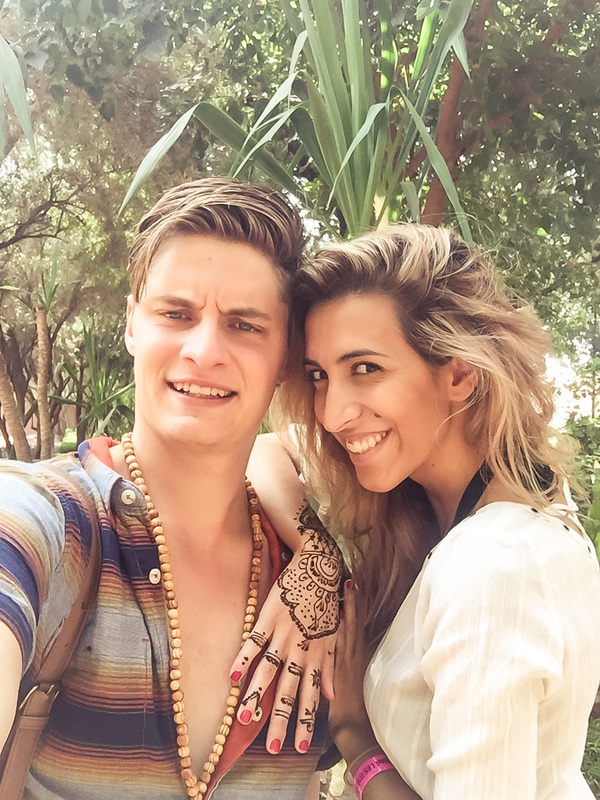 We love Morocco. Great shots too! Thanks a lot! We loved the cultural difference 😉 great place for holiday. Enter your email to receive a weekly email with photos and stories from our travels around the world! We respect your privacy. Easily unsubscribe anytime! An international couple with a passion for traveling and photography. As many of us, we lead a very busy life but we give our best to take every opportunity to go away and explore the World! The passion for photography lets us capture our favorite locations, moments, and experiences which we share with you on this website. 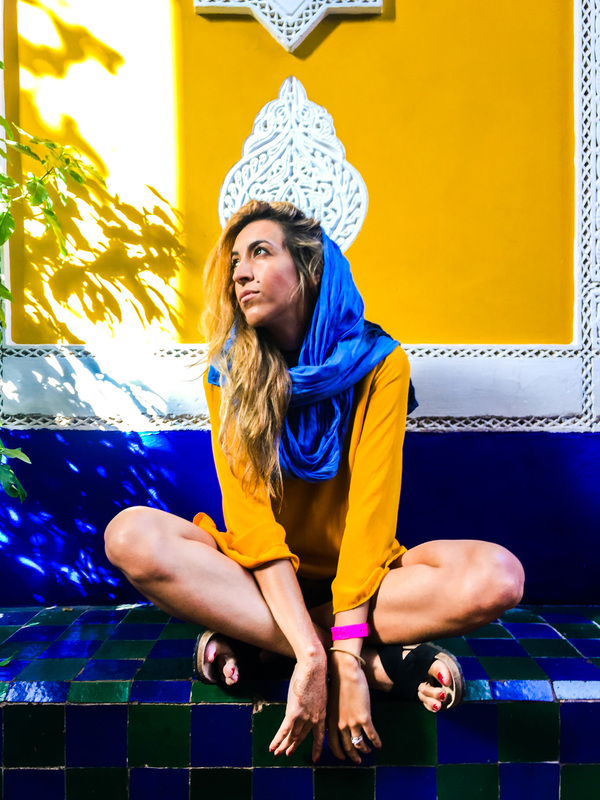 This artistic approach to traveling and lifestyle inspire many people to make their travel plans and visit the same destinations. All places, hotels, restaurants, and activities we cover here are carefully planned and we only recommend the ones which we truly liked. Save your time and find inspirations for your next trip!